READ: Beekeeping on it’s way to being legal in Long Beach! A second attempt to allow more urban agriculture in Long Beach passed its first test Tuesday night when the City Council approved a request to the city attorney to create an ordinance amending the current law. In March 2013, a draft was brought to the council to change rules for keeping chickens, goats and bees in residential areas. More work was done before a vote in July 2013, but the changes failed on a 4-3 vote, with two council members absent. The issue resurfaced, and four council members — Lena Gonzalez (First), Suja Lowenthal (Second), Daryl Supernaw (Fourth) and Dee Andrews (Sixth) — brought the idea back to the full council Tuesday. City staff will provide City Council with the ordinance language and then the issue will be up for a final vote. The buzz around bees has been bad lately. As we’ve reported, beekeepers say they lost 42 percent of honeybee colonies last summer. And it seems that fixing what ails bees is no simple task. Over the past few decades, they’ve been hit by diseases and habitat loss. There’s also increasing evidence that a type of pesticides called neonicotinoids are linked to bees’ decline, too. This could be bad news for all of us, since bees and other pollinators are critical to our food supply. Honeybees alone, according to an Obama administration estimate, add $15 billion in value to agricultural crops each year by pollinating everything from almonds and apples to blueberries and squash. And now the administration has put forth a new action plan to reverse the declines in bees. A key component is a strategy to restore 7 million acres of bee-friendly habitat that have been lost to urbanization, development and farming. “It’s a big step in the right direction,” says Nigel Raine, a professor who studies pollinator conservation at the University of Guelph, in Canada. The idea is to plant many types of wildflowers — in lots of different areas — so that bees have more places to forage and nest. “It’s making sure they have sufficient flowers to feed on,” says Raine — and places to live. Many environmentalists say restoring bee habitat is a good place to start, but they’re critical that the Obama administration has not taken a harder line in limiting the use of neonicotinoids. The Natural Resources Defense Council says more urgent action is needed to safeguard our food supply. “To truly save bees and other pollinators, we must drastically cut down on today’s pervasive use of neonicotinoids and other pesticides,” Peter Lehner, executive director of the NRDC, said in a press release. And a similar message is coming from Friends of the Earth. The White House Pollinator Strategy won’t solve the bee crisis, the group says. The Environmental Protection Agency announced in April that it is not likely to approve new uses of neonicotinoids, but the plan announced by the administration on Tuesday did not call for restrictions on current uses. The European Union has already moved to restrict the use of neonicotinoids. And as we’ve reported, there are proposals in Canada to limit use of the pesticides, too. But a leading manufacturer of the pesticides says neonic restrictions are not necessary. “Neonicotinoids — when used according to labeled directions — can be used safely with pollinators,” Becky Langer of Bayer Crop Science told us. She says the administration’s strategy to restore bee-friendly habitat is a good approach, and points out that Bayer is helping to address this issue with its Bee Care Center and efforts to encourage the expansion of habitat. 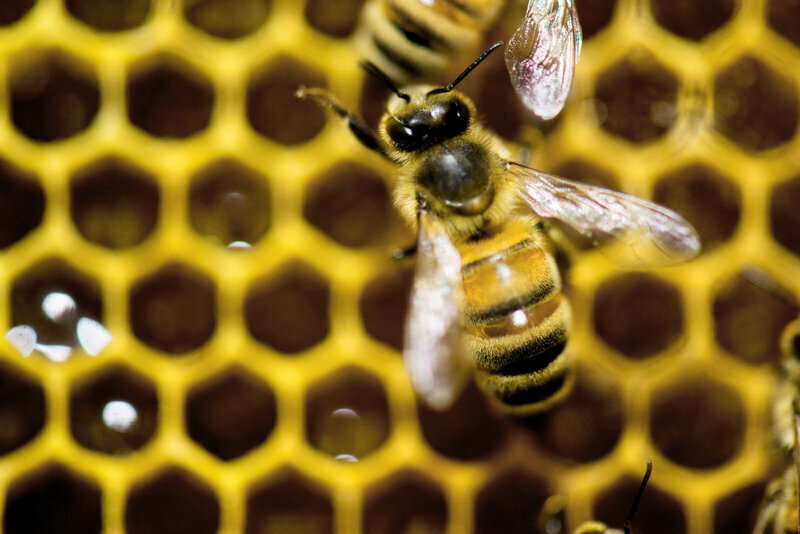 There is a buzz in the air in Washington, and it’s about honeybees. Concerned about an alarming decline in honeybee colonies, the Obama administration has released a National Strategy to Promote the Health of Honey Bees and Other Pollinators. “Scientists have shown that a range of factors — from climate change to viruses to loss of habitat — are contributing to the global decline in bee health. “And two new studies published in the journal Nature add to the evidence that overuse of neonicotinoid pesticides may also be contributing to the decline of bees. Beekeeping would be legal in the backyards of Los Angeles homes under regulations to be considered soon by a City Council committee. 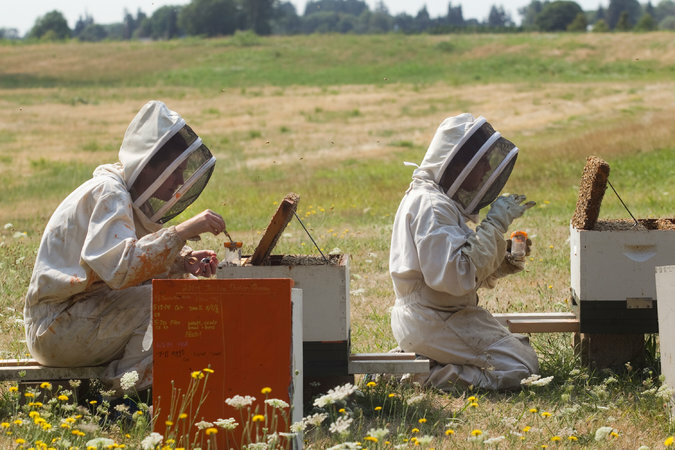 The proposed rules — approved by the city planning commission this week and now headed to the council’s Planning and Land Use Committee — would allow hobbyists and others interested in small-scale beekeeping to maintain hives in single-family residential settings. Beekeepers would need to adhere to certain restrictions under the proposed rules. No more than one hive would be allowed for each 2,500 square feet of space, and there must be a 5-foot buffer between the hive and the front, side and rear lot lines of the property. Hives also must be at least 20 feet away from public right of way or a private streets and cannot be kept in the front yard, according to the rules. The bees also must have access to a nearby water source within the beekeeper’s property so that the bees would not need to travel outside to look for water. If the City Council approves the ordinance, Los Angeles would join Santa Monica in legalizing so-called “backyard” or “urban” beekeeping. The hobby also is allowed in other urban areas such as New York City and Denver. 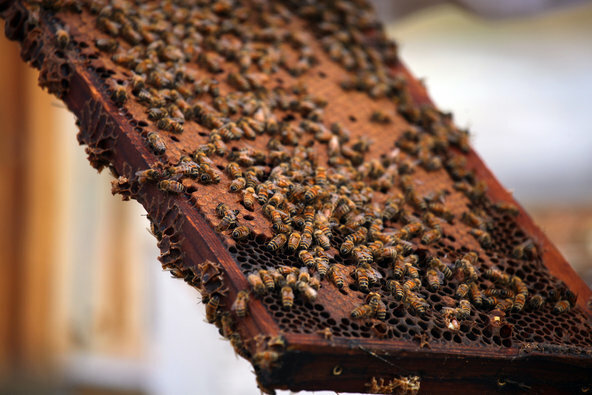 The Los Angeles Planning Department and the city attorney created the proposed rules after the City Council ordered a study last February into ways to legalize backyard beekeeping. The council action came in response to a growing chorus of Angelenos advocating for “urban beekeeping,” including from some residents in the Mar Vista area who said increased beekeeping helps to fight a troubling, downward trend in the bee population that could threaten the health of local agriculture. Councilman Paul Koretz, who supports legalizing urban beekeeping, said last year the state has been losing a third of its bees a year since 2006, threatening California’s avocado and almond industry. Some council members voiced concerns, however, that the bees could pose a danger to residents, with Councilman Bernard Parks referring to a National Geographic documentary entitled “Attack of the Killer Bees,” about a dangerous variety of bees that appear to be encroaching into southern United States. The report also notes Los Angeles already averages about 8 to 10 feral bee hives per each square mile. The addition of backyard honey bees would not cause a shortage of bee food supply in the city due to the area’s steady climate, but if there were a shortage, the feral populations would likely leave the area to find alternative sources of food supply, according to the bee experts consulted by planning officials. Los Angeles is getting closer to legalizing backyard beekeeping and the proposed ordinance couldn’t come at a better time. Professional beekeepers reported this week that 42% of their honeybees died in the last year, and, for the first time, they lost more bees during the summer than the winter. That’s surprising and worrisome because bees typically suffer in the cold weather, but fare better during the warm pollination season. And it underscores fears that parasites, pesticides and farming practices might be weakening the bee population, which is essential for pollinating the nation’s food crops. Backyard beekeeping can’t replace commercial beekeeping operations, but the urban honeybees may help replenish the diminishing supply, or provide disease-resistant genes that can be introduced in the commercial bee lines. The more healthy bees in the environment, the better for everyone. Current city law prohibits beekeeping, except on land zoned for agricultural uses. The proposed ordinance, approved Thursday by the city Planning Commission, would allow beekeeping by right in single-family neighborhoods. The resident would need to register as a beekeeper with the Los Angeles County agriculture commissioner, have no more than one hive per 2,500 square feet of lot, keep the hives at least five feet from the neighbors’ yards and 20 feet from the street or sidewalk and keep a source of water for the bees so they don’t seek water from the neighbors’ swimming pool or bird bath. There’s no pre-approval needed, but the city will respond to complaints and if residents break the rules or can’t manage their bees, the city can revoke the right to keep hives. The City Council still needs to OK the new backyard beekeeping policy before it can take effect, but city leaders have been supportive of urban agriculture. And why not? L.A. has the ideal climate and long growing seasons. The city has hillsides, vacant lots and yards that can support small farms and hobby farmers. A vegetable garden or orchard is a more productive use of our precious water supply than a green lawn. And more fruits and vegetables grown locally mean less produce has to be trucked and shipped over great distance, meaning fresher food and less fossil fuels burned in transport. 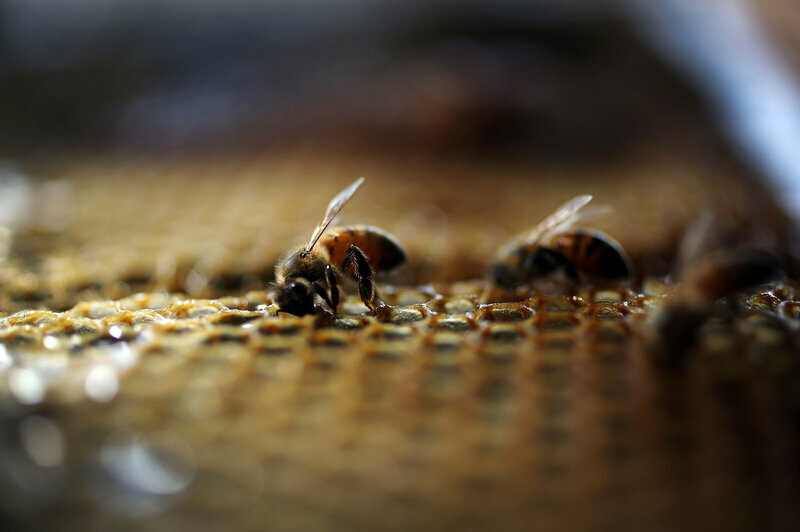 A prolonged and mysterious die-off of the nation’s honeybees, a trend worrisome both to beekeepers and to farmers who depend on the insects to pollinate their crops, apparently worsened last year. In an annual survey released on Wednesday by the Bee Informed Partnership, a consortium of universities and research laboratories, about 5,000 beekeepers reported losing 42.1 percent of their colonies in the 12-month period that ended in April. That is well above the 34.2 percent loss reported for the same period in 2013 and 2014, and it is the second-highest loss recorded since year-round surveys began in 2010. Most striking, however, was that honeybee deaths spiked last summer, exceeding winter deaths for the first time. Commercial beekeepers, some of whom rent their hives to farmers during pollination seasons, were hit especially hard, the survey’s authors stated. Bees are not in danger of extinction, but their health is of major concern to agriculture, where honeybees’ pollination services are estimated to be worth $10 billion to $15 billion a year. Nobody knows with certainty why honeybee deaths are rising. 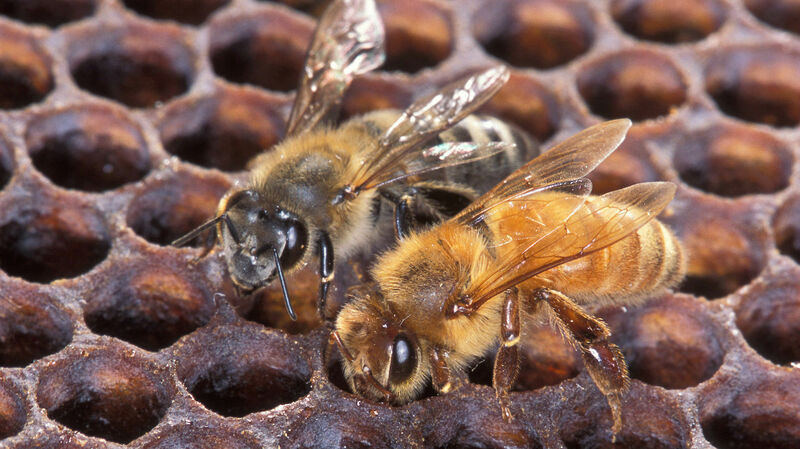 Beekeepers once expected to lose perhaps 10 percent of their bees in an average year. But deaths began to spike in the middle of the past decade, when a phenomenon in which bees deserted their hives and died en masse, later named colony collapse disorder, began sweeping hives worldwide. Those mass die-offs have abated somewhat in recent years, experts say, but colonies remain in poor health, and overall death rates remain much higher than in the past. Dr. vanEngelsdorp said increasingly poor nutrition could be a factor in the rising summer death rate. Rising crop prices have led farmers to plow and plant millions of acres of land that was once home to wildflowers; since 2007, an Agriculture Department program that pays farmers to put sensitive and erosion-prone lands in a conservation reserve has lost an area roughly equal to half of Indiana, and budget cuts promise to shrink the program further. Dr. vanEngelsdrop and other scientists cite two other factors at work in the rising death rate: a deadly parasite, the varroa mite,and pesticides. In recent years, some experts have focused on neonicotinoids, a class of pesticides used almost universally on some major crops in the United States. The European Commission has banned the use of three variants of the pesticide on flowering plants, citing risks to bees, and questioned whether they should be used at all. The Environmental Protection Agency said last month that it was unlikely to approve any new uses of the pesticides until more tests on the risks to bees and other pollinators have been completed. Neonicotinoid manufacturers say that the pesticides are much safer than others they have supplanted, and that in any case, they are safe when used according to instructions. In a news release, an entomologist at one of the major neonicotinoid manufacturers, Bayer CropScience LP, called the survey results good news because wintertime bee deaths appeared to have stabilized at a lower rate than in the past. The entomologist, Richard Rogers of the company’s Bee Care Center in Research Triangle Park, N.C., said that scientists had yet to establish a normal range for summer bee deaths. 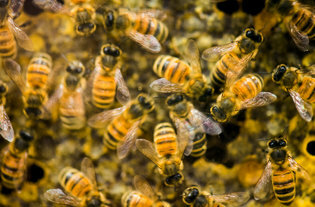 The annual survey released on Wednesday did not directly address the causes of honeybee deaths. But it said varroa mites were a much bigger problem among so-called backyard beekeepers, who keep fewer than 50 hives, than among commercial beekeepers, who are probably on higher alert for deadly infestations. The survey’s authors called the spike in summer honeybee deaths troubling, noting that in the past, more bees have died during the winter months than in good weather. The Bee Informed Partnership has collected data on summer bee deaths since 2006, and it expanded its survey to cover winter deaths in 2010. The surveys are financed largely by the Agriculture Department.